Imagine having to call off a party at the last moment because you’re feeling something is wrong with your body but you’re not quite sure. The last thing you want to do is see out the rest of the day in uncertainty. You know you can find the solution online but that will need time and concentration, two things we don’t have when we are feeling sick. You need something that is convenient and not an overly intensive task. Something as much as knowing what fruit to eat and what not to can go a long way during such ailments before seeking medical treatment. But who’s going to do that if you need to read through a wealth of content and click a thousand buttons? 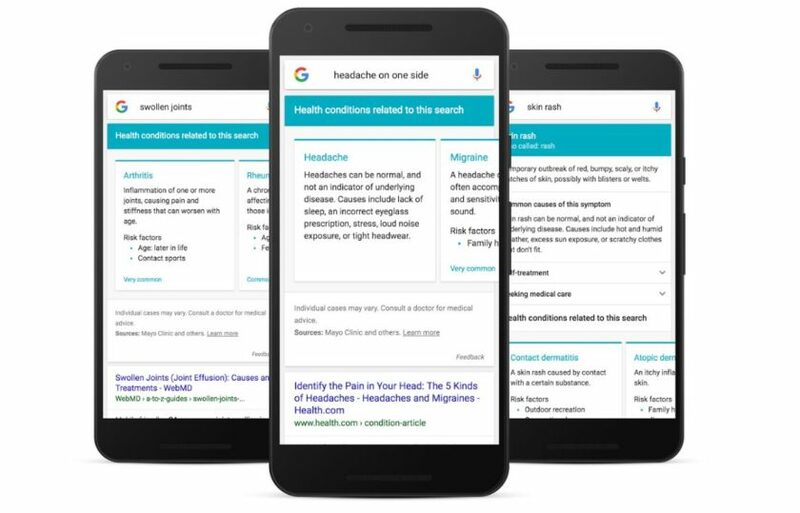 Google seems to have the perfect solution to all this with its new service which will allow searches to gather medical data and tips from doctors at Harvard Medical School and Mayo Clinic. 1 percent of Google is quite a lot. So in the very near future, searching things like: “headache”, “dizziness”, etc. will give you a brief overview of different related conditions along with what you could do at home to alleviate that condition and when you need to pay a visit to a professional. It’s intended to give you the basic know-how of your symptoms and help you communicate with a professional should you choose to do so.